Baker Elementary will be hosting a geranium fundraiser in cooperation with Canadian Gardens. The cost will be $20 per plant. 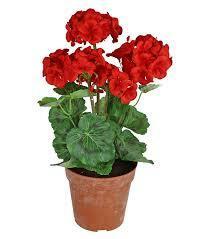 They will be available in red or pink shades and come in 8-inch pots. Orders must be placed by April 12, 2019 and flowers will be delivered just in time for Mother’s Day weekend, May 9th and 10th from 4:00-6:00 at the Gardens. Persons interested in ordering are encouraged to do so from any Baker Elementary student. For more information, please call 806-323-5386.